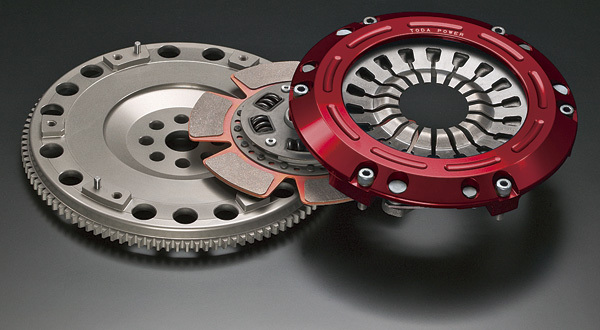 A strap drive system connecting the pressure plate to the cover is used, improving both the response of the clutch pedal operation as well preventing noise commonly found when the clutch is depressed. A high friction valve, low wear rate, and a metal material with high heat resistance made into a compact size (ø200mm). Gives you a high power transfer capacity and a long life. 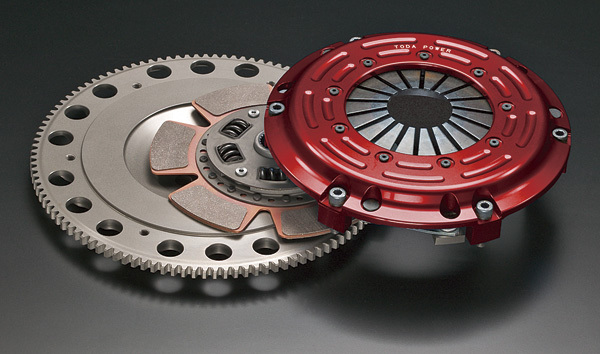 A small damper disc specially designed, and optimization of the metal pad including its thickness. Greatly reducing inertia to below that of the original product. 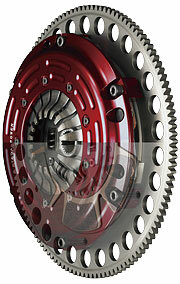 Giving enhanced shift feeling and reduced synchronizing wear with in the gearbox. Stress analysis, balance, and inertia are simulated using CAD solid models for optimized performance. 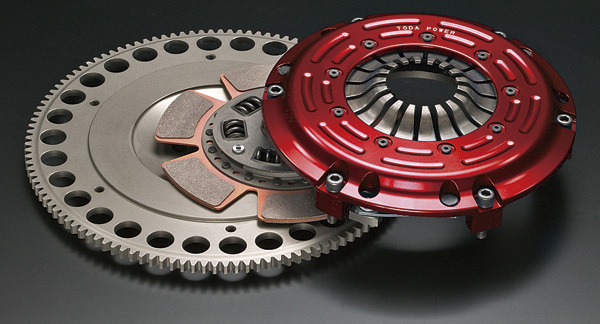 An overall design, designed to give good weight savings and low rotation characteristics.